IACMichelle Arbov, vice president of mergers and acquisitions at IAC. Michelle Arbov, 28, is the vice president of mergers and acquisitions at holding company IAC. She helped lead a series of high-profile acquisitions, including IAC’s purchase of Angie’s List for over $US500 million, and played a key role in scaling its HomeAdvisor business. Arbov was named this year to Forbes’ 30 under 30 list for finance. Business Insider recently asked her to share her best career advice for other young professionals. 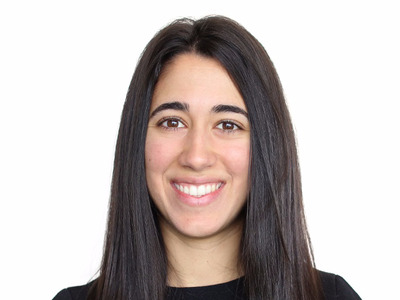 Michelle Arbov, 28, is a rising star at IAC, a $US15 billion internet conglomerate founded by media mogul Barry Diller. She joined the company three years ago as the associate director on the mergers and acquisitions team and has been promoted rapidly. Now, as the vice president of M&A, Arbov leads the company’s efforts in corporate development and financing. She was recently named to Forbes’ 30 under 30 list for finance. IAC, whose holdings include widely recognised brands such as Vimeo, Tinder, and Investopedia, is known for its aggressive acquisition strategy. Arbov has handled a slew of high-profile deals and has been instrumental in scaling IAC’s pillar business in the digital-home-services marketplace. A notable example is her work on IAC’s $US500 million purchase of home-services website Angie’s List in 2017. This led to Angie’s List’s merger with IAC’s reviews site HomeAdvisor, which created ANGI Homeservices. That company went public in October 2017. During her three-year stint at IAC, Arbov has also led other prominent deals, including the acquisition of home-improvement sites HomeStars and MyHammer, as well as ANGI’s recent purchase of household-services company Handy. Before her role at IAC, she worked at Goldman Sachs and Och-Ziff Capital Management, a hedge-fund manager. She shared her career advice for young professionals with Business Insider.